Tony Houston is Group Director of Commercial and Partner at ThomsonAdsett. With over 30 years’ experience in retail architecture, Tony has completed more than 100 projects across Australia working with major retailers and developers. How do you ensure you are designing for not only the developer and tenant, but also for the retail customer? Legible master planning logic that maximises the convenience for the customer, the retail trade for the tenant and the economic return for the client/developer. This creates a dynamic and balanced trilogy between customer, tenant and client. An architectural statement creating a theme that reflects the social and physical context of the site. Retail architecture must be relevant to its local context and tie the community to the development to capture the attention of its user, the customer. How can good design advantage the retailer? Good design satisfies the client’s business objective and meets the expectations of the tenants and customers. To achieve this, the design process must start well before a line is drawn. Using our experience across all types of developments, we examine a number of key elements when we start a project including:- The fundamentals of retail logic;- Optimum formats for a retail offer;- The interrelationship between shape/topography of site;- Building spatial requirements;- Vehicular/customer accessibility;- What will invoke a positive response in the customer. Central to our design philosophy is that we are designing architecture and not just producing buildings. However, it is retail not detail and it is the simplicity of retail logic not the complexity of applied design that underpins a successful retail project. What do you see as the biggest challenges for retailers currently, and how can design assist in overcoming these challenges? Creating an ambience to attract and engage the customer and provide a point of difference to the sterile, artificial, introverted environment of the traditional shopping centre mall or online retail activity is the biggest challenge. Though, we believe online retail will not impact to any significant degree on most types of retail. We as retail designers must create convenience and amenity through the wow factor, ambience and the look and feel of a retail space, and this experience we create will continue to prosper over online activity. An evolutionary change to the juxtaposition of the traditional retail format and mix. We are now seeing discount department stores look at other opportunities than the traditional sub-regional centre, such as co-locating as a free stander in bulky goods and mixed use centres. Precincting of retail centres into categories such as Fast Food, Medical, Education and Community, Sport and Leisure and High Street is starting to occur driven by market demand and a more focused reason for customer visitation. A dominance of food based tenants (fresh and dining) that can attract high margins and turnover. The boutique “food hall’ is again emerging in the affluent demographic locations to challenge the food and produce markets. The marketplace is being subjected to experimentation and fad retail with pop-up stores, a common occurrence in the urban landscape. There will be smaller centres, closer together and in specialised precincts to cater for the diversity of demand and the importance of convenience. Master planning for future staging of centres will become crucial as centres and main streets evolve. 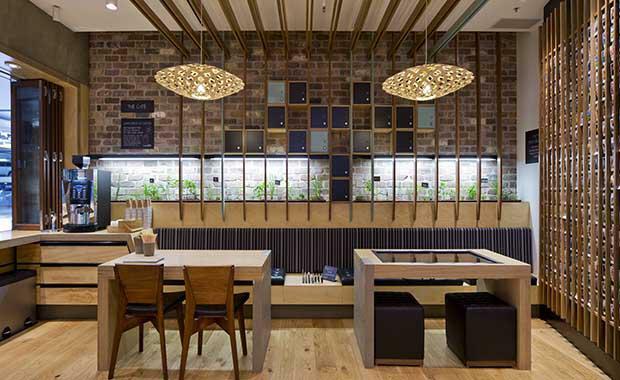 Theming of centres to reflect their local social context will create the ambience and competitive edge for centres. The middle sized traditional sub regional centres will be in demise as they are squeezed out by the small and larger centres, while the larger centres will be dominated by the Town Centres. In South East Queensland, the emerging centres at Springfield, Mango Hill, Ripley and Yamanto will become the Chermside, Indooroopilly, Carindale and Garden City of the future. There is a possibility that the loyalty/membership centres such as Costco will gain traction and market appeal, which will be interesting to see.